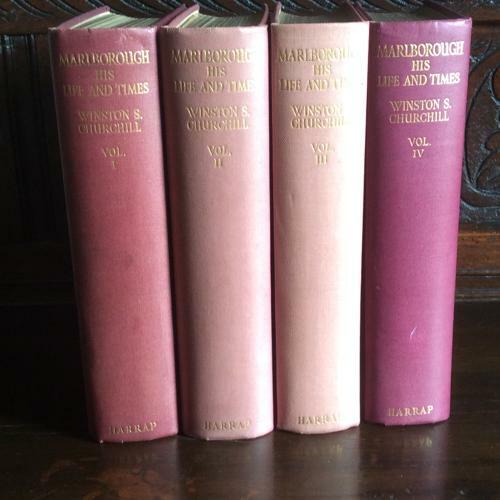 Four volumes by Winston S. Churchill of John Duke of Marlborough His Life and Times, published by George G. Harrap. Maroon hardback, with plates and maps, gilt top edge. Vol. 1, new edition revised,published 1934. Vol. 2, reprinted 1934. Vol.3, first published 1936. Vol 4, first published 1938. Overall condition very good with some foxing. Fading to spines of Vols. 2 &3. Additional photographs available upon request. UK shipment by courier only.